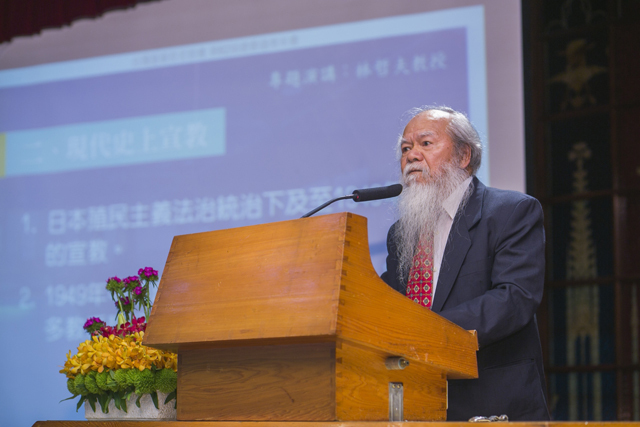 Professor Albert Lin, the pioneering founder of Love and Non-violence social movement, was invited to address to the 62nd round of PCT General Assembly on April 18. 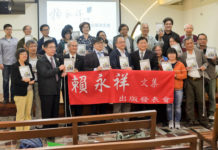 In his speech, entitled as “Marching toward an integrated mission for Taiwan as a new, independent and safe country”, Prof Lin encouraged the church to join into the nation-building engineering of Taiwan as a country, protecting her from no more colonial regimes’ oppression and exploits and assuring an integral missionary strategy concerned about national security would be implemented. Prof Lin started his speech by reminding the audience about the church’s resilient mission history under a series of foreign regimes through Holland, Spain, Koxinga and the Japanese government. And then he presented a list of major events in chronological order as a reminder to show how PCT continued the grand command of mission to embark on a self-sustainable and ecumenical movement in the authoritarian KMT regime. In March 1951, the PCT General Assembly was founded to initiate “Double Movement”, and this was the basis for “New Century Mission Movement”, and “One Leads One – New Double Movement” after decades later. 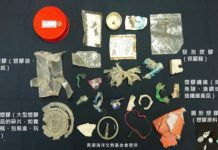 In the meantime, PCT also started to care for the marginalized in society; in 1969, together with the Catholics, Buddah believers and Taoists, PCT co-established the first Life Saving telephone line in Taiwan; in 1972 Christian Family Counseling Center was founded. In 1983 Taipei Women’s Development Center was found to help those women whose husbands were jailed in the prisons; In 1985 Rainbow Ministry Center(help and protect girl prostitutes), Sailor/Fishermen Service Center, Aboriginal Workers’ Evangelical Center were established; in 1987 Farmer Service Center was set up; in 1989 Labor Service Center, Service Center for the Disabled were established. 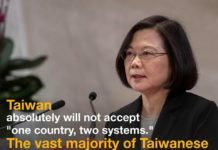 Noteworthy is that in the 1970s, PCT eloquently spoke out for the Taiwanese people in three church statements: Statement on our national fate(1971), Our appeal(1975), and A declaration on human rights(1978), concerning the urgent diplomatic and human rights’ crisis that Taiwan society encountered in that specific kairos. Rev Dr Kao Chun-ming, PCT’s general secretary then, was even caught into jail in the accusation of hiding the leading opposition political dissident – Mr Shih Ming-teh. Prof Lin, as himself a converted Christian from Taiwan’s folks religion, also expressed his deep thanksgiving to God for leading him to overcome so many difficulties and challenges in his personal life, sending so many angel-like fellows to help him, and inspiring him to search the amazing strategic tools of a social movement as love and non-violence and luckily to be accepted in an integral missionary plan.